Miletus was protected by a defensive wall covering the entire peninsula, on which different building phases can be discerned. Few traces of the archaic wall were found in the area of the Harbour of the theatre. The most important buildings of the archaic period were the Delphinion, the temple of Athena and the temple on the hill of Kalabaktepe. 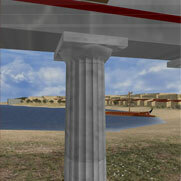 The classical city was rebuilt according to the Hippodameian city plan. 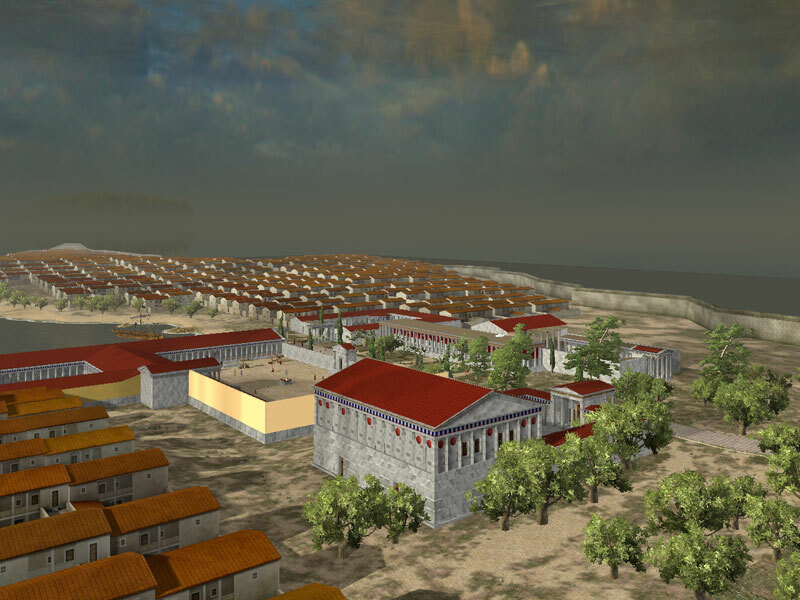 The center of the civic life was developed in the northern part of Miletus, where most of the public buildings were concentrated. In the Hellenistic period the city was embellished with stoas, agoras, gymnasia and theatrical buildings, while in the Roman period, baths, nymphaea and monumental gate-buildings made the city an impressive civic center of the Roman world.